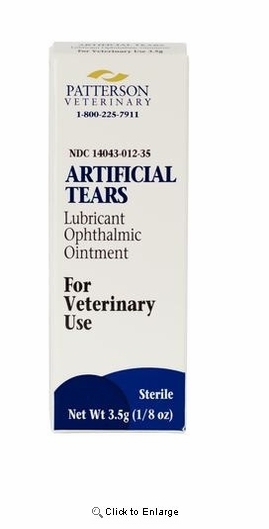 Artificial Tears Ophthalmic Ointment is a sterile eye ointment, designed for animals. 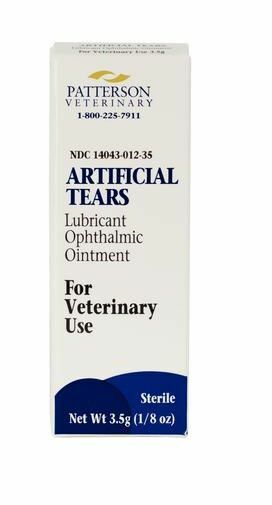 It is to be used as a lubricant to prevent further irritation or to relieve dryness in the eyes. Contains: Mineral Oil(15%), White Petrolatum(83%), Lanolin(2%). Please read all instructions and warnings on the bottle/box before using. If irritation continues or gets worse, discontinue use and consult your veterinarian right away.